SAN FRANCISCO (AP) A few blocks from the 58-story Millennium Tower, dubbed "the leaning tower of San Francisco," another building appears to be sinking. 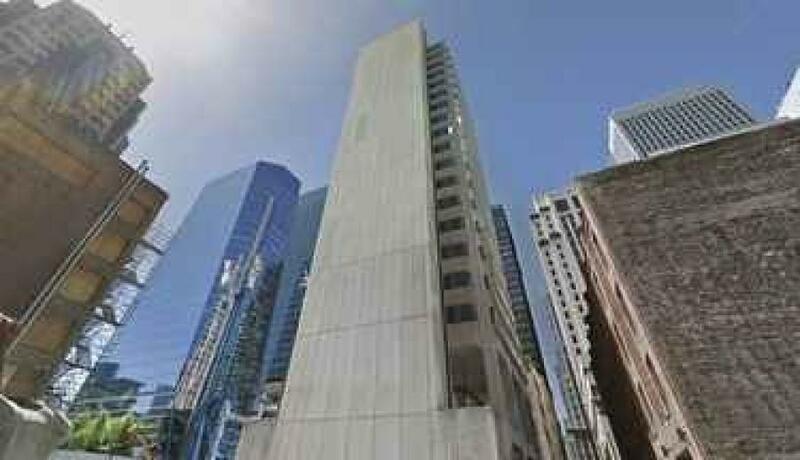 An 18-story building in the city's financial district appears to have settled up to three-eighths of an inch because of the construction of two high-rises on either side, the San Francisco Chronicle reported. The building at 25 Jessie St. serves as the western headquarters of the Federal Deposit Insurance Corporation. It was built in the 1980s. To the north and south of it, developers began construction last year on a pair of 61-story and 54-story towers that will be called Oceanwide Center. City inspectors launched an investigation in February after receiving an anonymous complaint that warned, "The building is sinking!" An inspector reported back that nothing appeared out of the ordinary, according to department records cited by the Chronicle. At roughly the same time, a monitoring report filed in March by developer Oceanwide Center LLC indicated that about two dozen columns supporting the building at 25 Jessie St. had settled by "no more than three-eighths of an inch" and said it did not pose significant safety risks. Department of Building Inspection spokeswoman Lily Madjus Wu told the Chronicle that the FDIC building "is considered safe for occupancy and use." The agency will investigate again, however, if any additional complaints or concerns are raised. Neither Oceanwide Center's developers nor the owner of 25 Jessie St. commented on the complaint or investigation, which was first reported last week by KNTV. The Millennium Tower, which has sunk 17 inches since opening in 2008 and is tilting 14 inches, is mired in a number of lawsuits. The condominium's owners claim the destabilization was triggered by massive excavation for the city's new transit hub next door, the Transbay Transit Center. Transbay says the Millennium Tower's "inadequate foundation" is the cause of its sinking. Its foundation uses piles driven 60 to 90 feet into landfill, rather than having drilled down more than 200 feet to bedrock. The Chronicle reports that the Oceanwide Center will be anchored to bedrock.